The Benchmarking Functionality allows to assess the performance, quality and reliability of a virtualized solution. A small scale benchmarking tool can be deployed on demand for performance, assessing consumed resources (monitoring compute/storage) and quality, validating duration of procedures (monitoring from benchmarking). Benchmarking is possible for several parameters, like variable subscriber numbers, end-to-end services, network topology and network KPIs. Various scenarios are supported, including implementation architectures, network topologies and subscriber patterns. 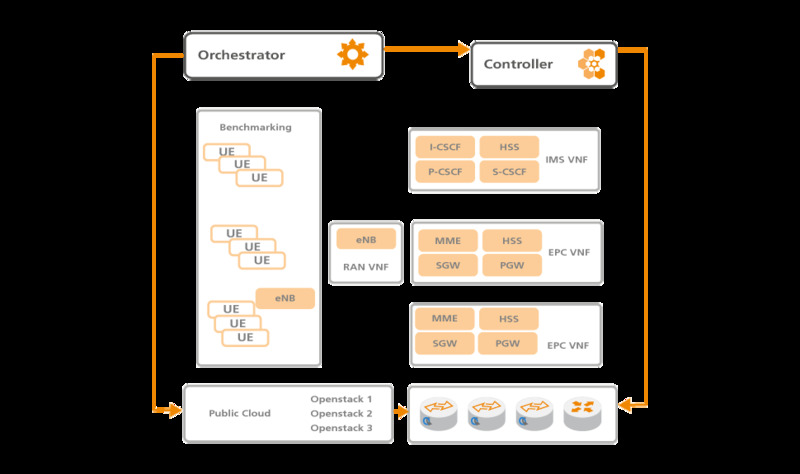 The benchmarking functionality is offered in cooperation with the Open5GCore toolkit.